Before turning vegan, Fudge was a favourite treat in my life. 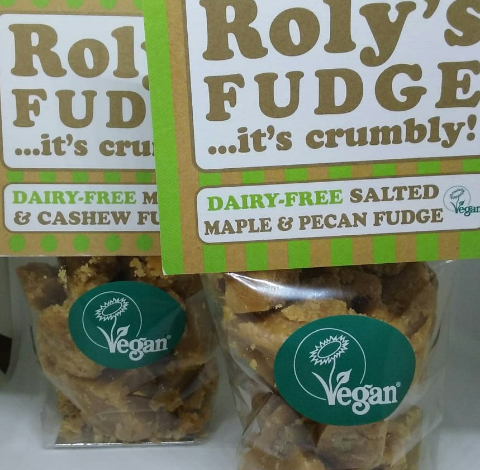 That’s why I was over the moon to discover Roly’s Fudge have this year introduced two vegan flavours to their shops. ‘…It’s crumbly’ is their tagline, and they’re not kidding. Their Vegan, Dairy Free fudge is adapted from their traditional crumbly fudge recipe and is made from coconut oil, organic soya milk and cashew butter. Arundel Roly Fudge Shop offers two new Vegan flavours. 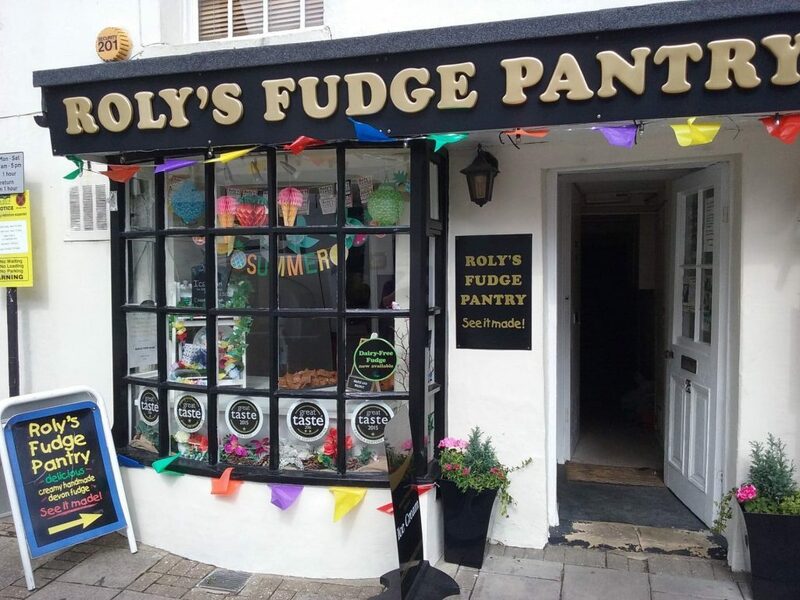 Sussex Vegan visited the Arundel Roly’s Fudge Shop on the High Street to see how it was made. The Vegan fudge is made on different days to non-vegan flavours, and kept in sealed bags (no loose fudge behind the counter) so is safe for milk-related allergy sufferers too. It has also been fully accredited by The Vegan Society. If that wasn’t enough awesomeness, both flavours are also Gluten Free. 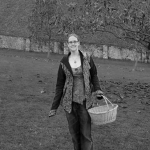 Owner and professional fudge-maker, Helen Bower, is proud to offer Vegan Fudge options in her shop. With two expertly crafted, Great Taste Award winning Vegan fudge flavours available from Roly’s Fudge, it’s hard to know which to choose. Do yourself a favour and get both! Roly’s Fudge is known for its crumbly texture and melts in your mouth goodness, and this isn’t any different when it comes to their Dairy Free, Vegan options. The Maple & Cashew Fudge and Salted Maple and Pecan Fudge are available from the Arundel shop now in 150g bags, 300g and 600g boxes. The ready-wrapped boxes are the perfect choice for Christmas, with the added bonus of it being sustainable paper, and there are even stickers to personalise your gift! So, what do the new flavours taste like? 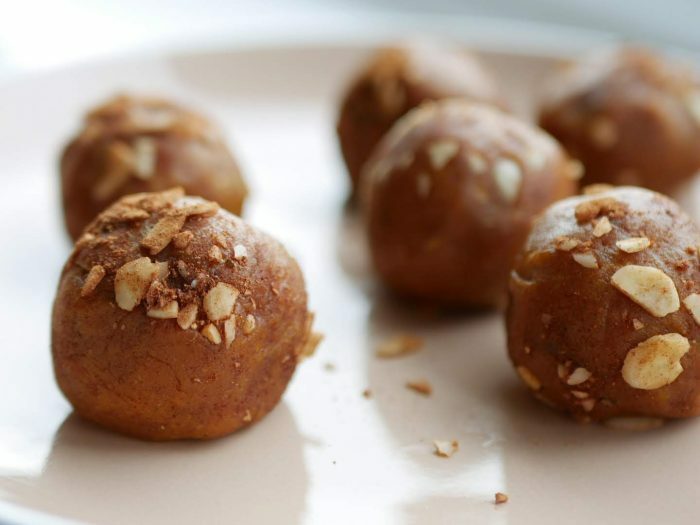 The Maple & Cashew Fudge is made using cashew butter, meaning it is smooth with no large pieces in. The unique Roly’s Fudge flavour is still there. It’s heavenly, a lot like a tablet that Scot’s enjoy (and I enjoyed when I lived in the Highlands!) I’m lucky in that I have been a big fan of Roly’s Fudge for years, so got to experience dairy and dairy-free flavours. Therefore, this duel-perspective offers insight for me to say with certainty the Dairy Free stands up to the non-vegan options. A REAL Treat – You’ve never tasted Vegan Fudge quite like it! The Salted Maple and Pecan Fudge have small pieces of pecan in it. It’s my preferred flavour, but it was so hard to choose, they really are both so good! 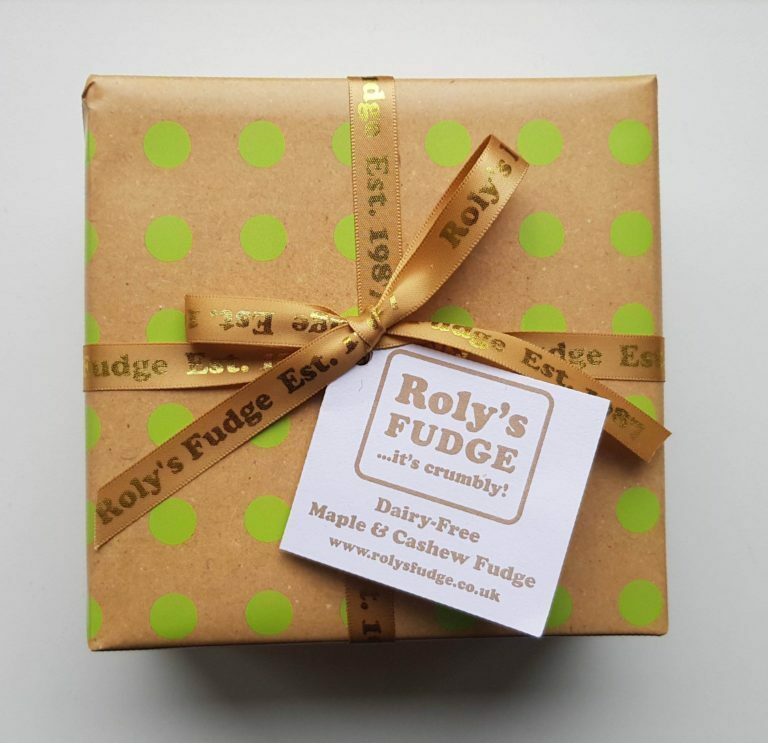 For anyone who has never tried Roly’s Fudge, they are unlike the sweet sickly ones you can buy cheap at supermarkets, this is expertly handcrafted artisan fudge and it shows. When can you get some Fudge? Arundel’s Roly’s Fudge is open Sunday to Friday 11am-5pm, Saturdays 10am-5pm! Pop in and see the team making fudge- contact them to find out when the next dairy-free fudge is being made so you can see for yourself!